There are many Chinese companies selling smart watches that can handle SIM cards and internet connections, even Wi-Fi and photos on their own, but many people are wary of them because they’re surprisingly cheap. If you’re one of those people that don’t trust cheap smart watches that have smartphone functionalities, the Huawei TalkBand B2 might be a good alternative for you. 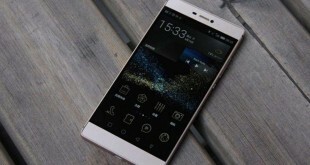 Huawei is as much Chinese as any other company, but they managed to make a good name for themselves in the past few years with devices like the upcoming Huawei Watch, Huawei Ascend Mate 7, Ascend P7 and the recently launched Huawei P8 and P8 Lite. The Huawei TalkBand B2 is the successor of the first band and it improves on quite a lot of features compared to its older sibling. If you are looking for a wearable fitness tracker that offers more than just tracking and notifications, the Huawei TalkBand B2 could be the perfect pick for you, as it can be used as a Bluetooth headset to take calls while on the go. It’s a very neat feature that Huawei decided to implement in their wearable, and with it, you can just slip out the main unit off your wrist and slap it onto your ears so that you can take your phone calls without having to dig your phone out of your purse or pocket. If you’re interested in a multifunctional smart watch such as this, we’ve a deal for you. If you go to GearBest and buy the black or silver Huawei TalkBand B2 with a silver aluminum case and black TPU band, you can get a discount on your purchase by using the coupon code GBB2. With this code, you can buy the Huawei TalkBand B2 for only $128.99. This offer on GearBest is available for a limited time only, so make use of the coupon as soon as possible! Now for the actual scoop about the Huawei TalkBand B2! Although the smart watch is more of a bracelet than a watch, it boasts with an aluminum design and a TPU band that are not premium, but very close to that qualifier. The device is thin and light and is compatible with both Android and iOS smartphones, so it’s a perfect fit for the majority of smartphone users out there. There aren’t many wearables that are cross-compatible like this one, so it’s good that more and more companies are taking on the challenge. Apple is a big factor in this, so it depends on Tim Cook and co. whether a smart watch or wearable can be used with their devices, too. The HUawei TalkBand B2 stands out because it doubles as a Bluetooth earpiece that you can just pop out of the case and slip on your ear to take phone calls from your phone. That saves you the trouble of having to search for your phone and can answer important calls immediately, while rejecting calls that might interfere with a meeting or a date. The device is easy to use and easy to charge, although wireless charging would have been nice. You can only charge it through its microUSB port, but the good part is that it will charge in about an hour and a half, according to the company. Battery life on the Huawei TalkBand B2 is admirable and is one of its strong points. In standby, the 95 mAh battery unit within can hold out for two weeks, which is pretty neat. 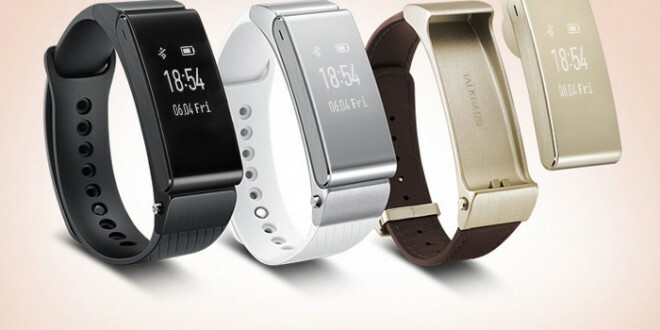 When used and with Bluetooth on, the device is said to last about 6 days, but that depends on how much you actually use its earpiece function as that will use up more battery than the other features the Huawei TalkBand B2 offers. The Huwaei TalkBand B2 is both a notifications center and a fitness tracker thanks to the included 6 axis sensor. You can do sleep tracking and monitoring, as well as run tracking, walk tracking, hiking tracking, bike tracking and more. You can also connect two different smartphones to the device at the same time, so it could be the perfect gadget for those that have a daily driver and a secondary smartphone for their work calls and matters. The Huawei TalkBand B2 is also water resistant, boasting with an IP57 certification, which means you won’t have to worry about ruining it if you go out on a rainy day for a bike ride. It’s also dust protected, although we wouldn’t advise going sand-surfing with this device running on your wrist, as it will most likely conk out after a fall or two. Not to mention getting scratched up. Otherwise, the Huawei TalkBand B2 is designed to be versatile, fashionable and useful, all at the same time, which is not something you can say about every smart wristband out there. Buy the Huawei TalkBand B2 at a discounted price of $128.99 with coupon code GBB2 from Gearbest.